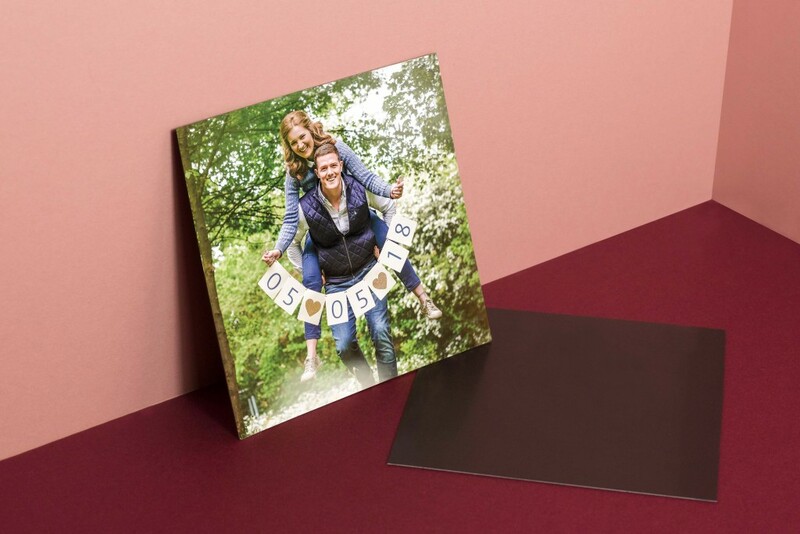 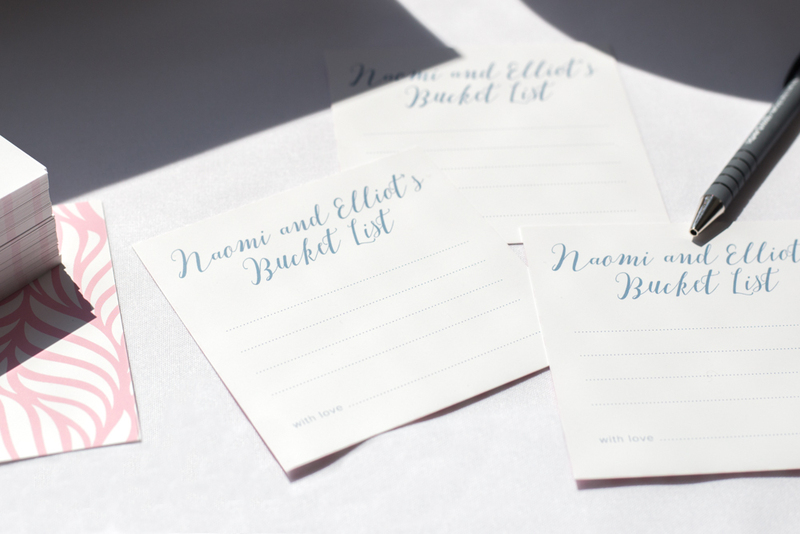 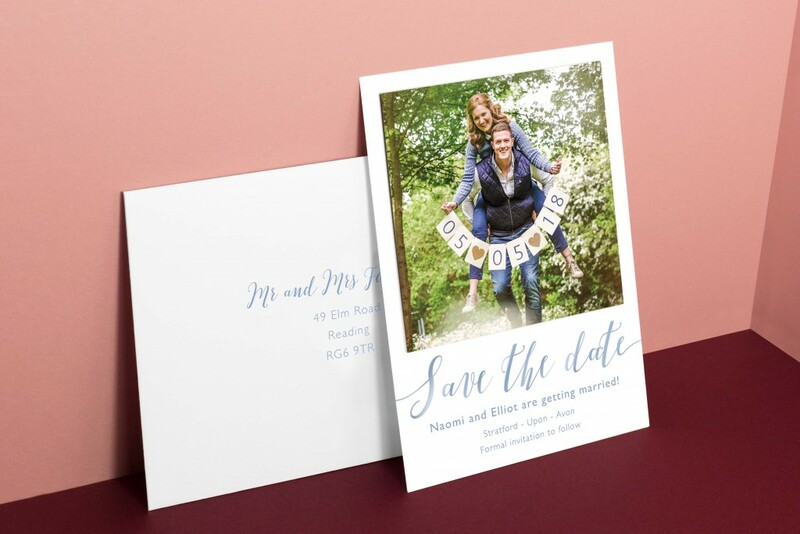 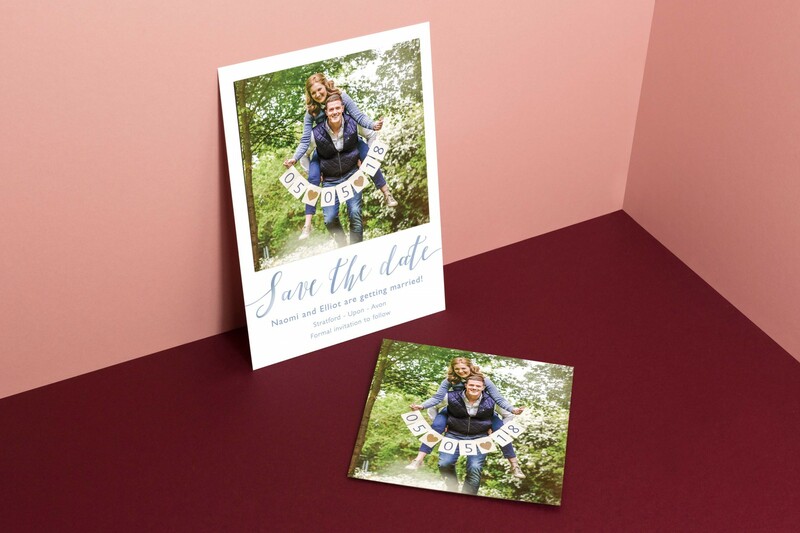 Their save the dates featured a detachable magnet for their guests to keep as reminders of the celebrations to come. 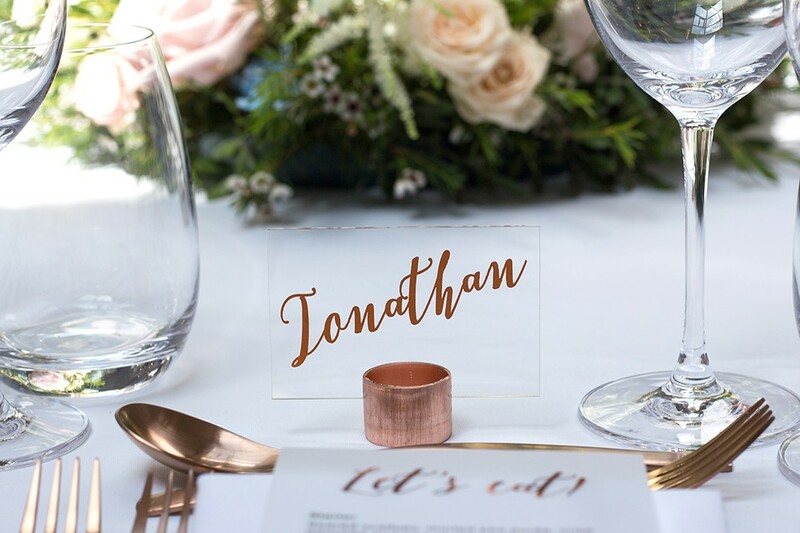 The invites came inside a laser cut pocket sealed with a copper foil sticker that featured their wedding monogram. 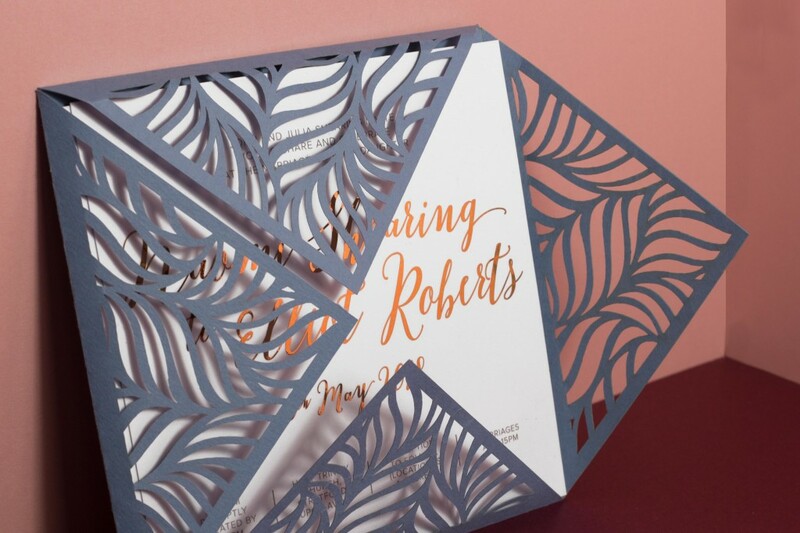 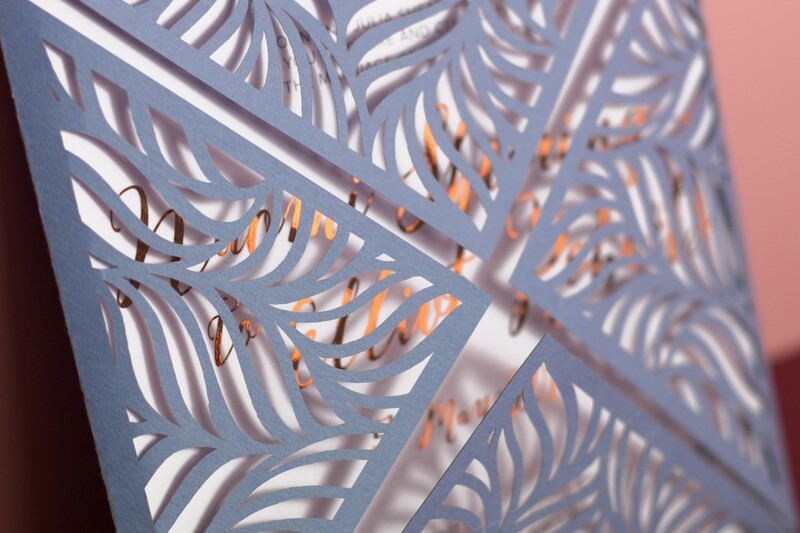 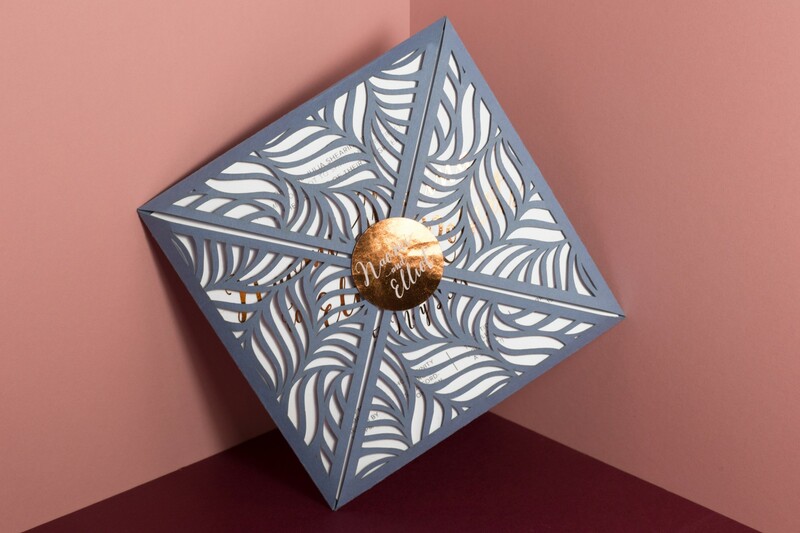 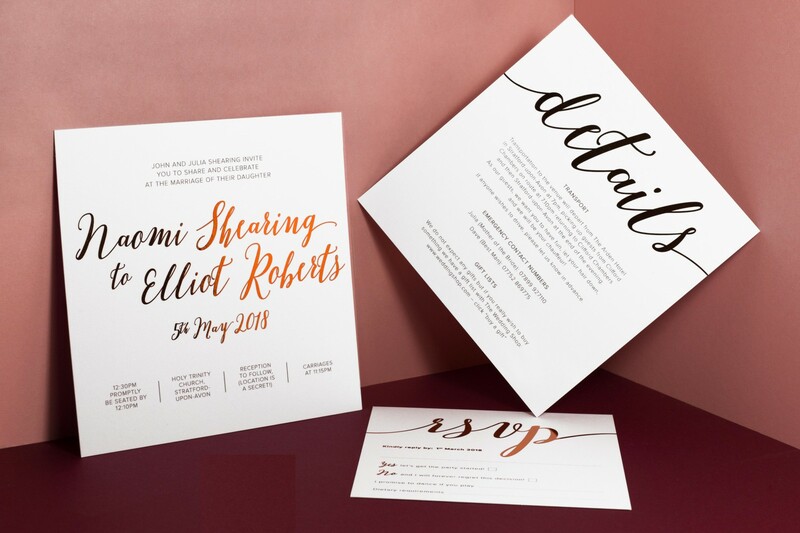 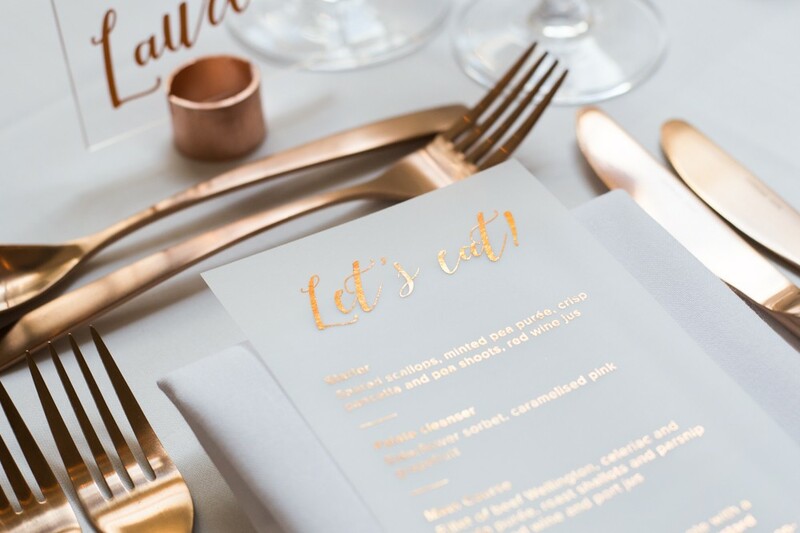 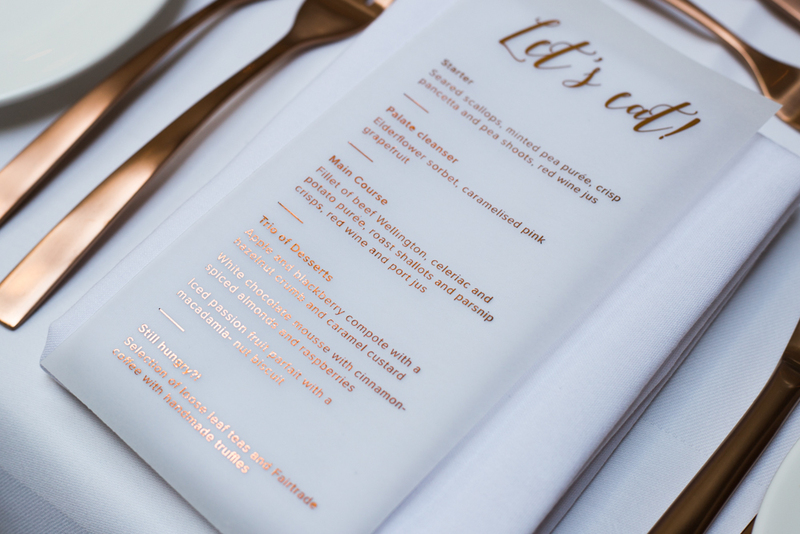 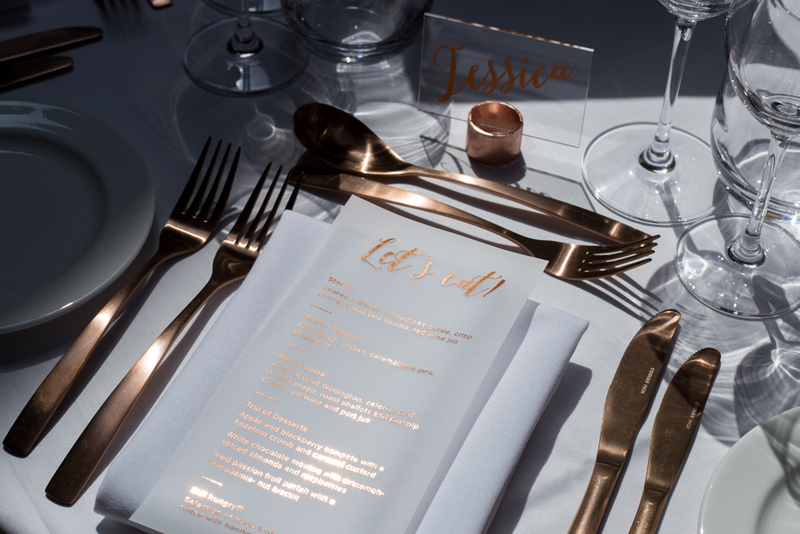 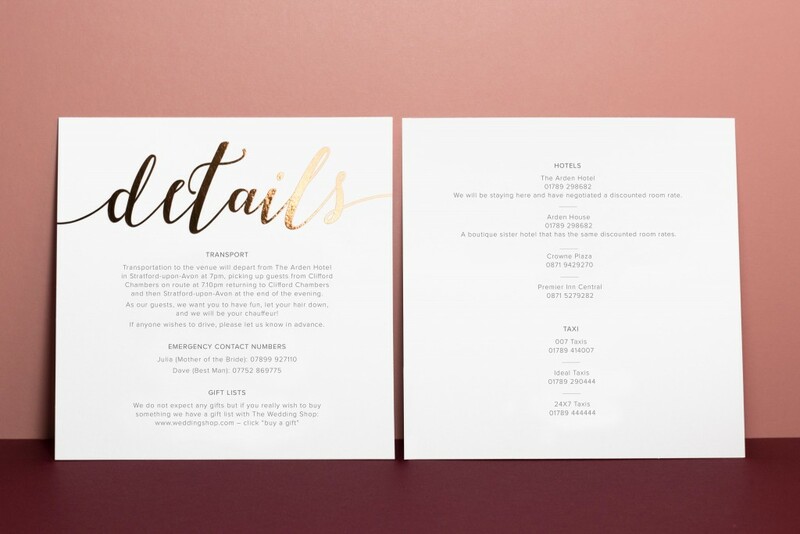 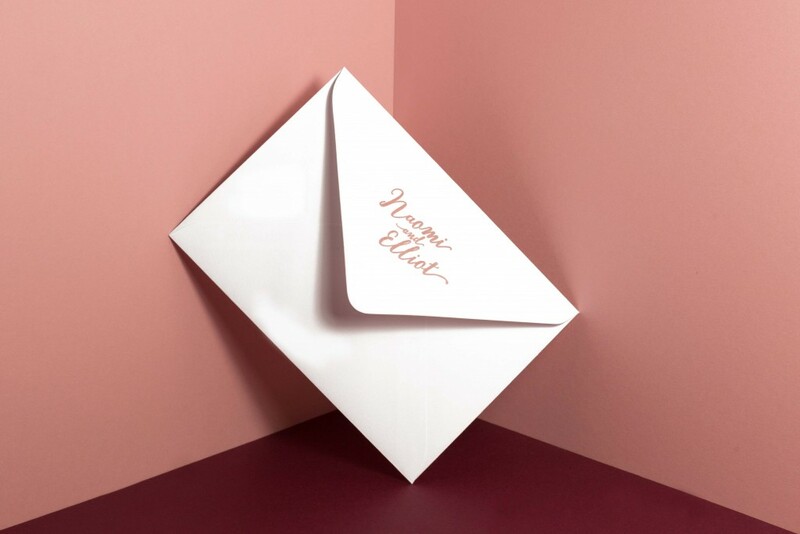 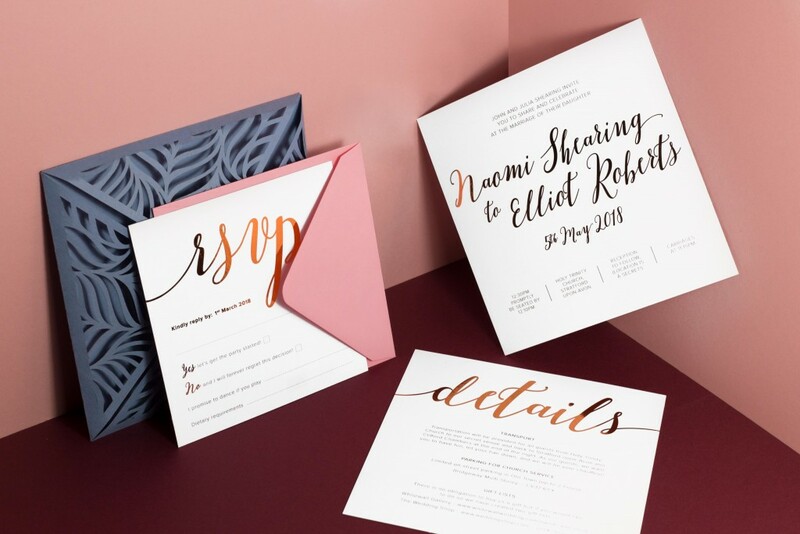 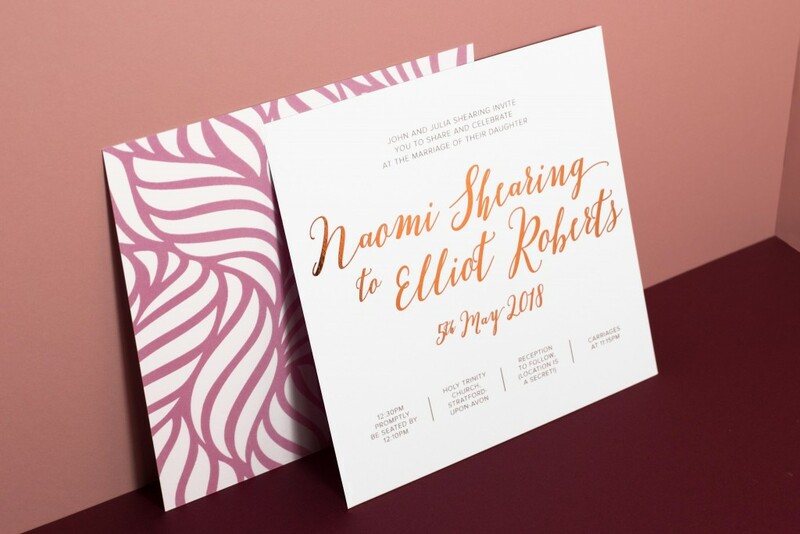 Inside each invitation pack were information cards printed with copper foil lettering for the ultimate luxe feel! 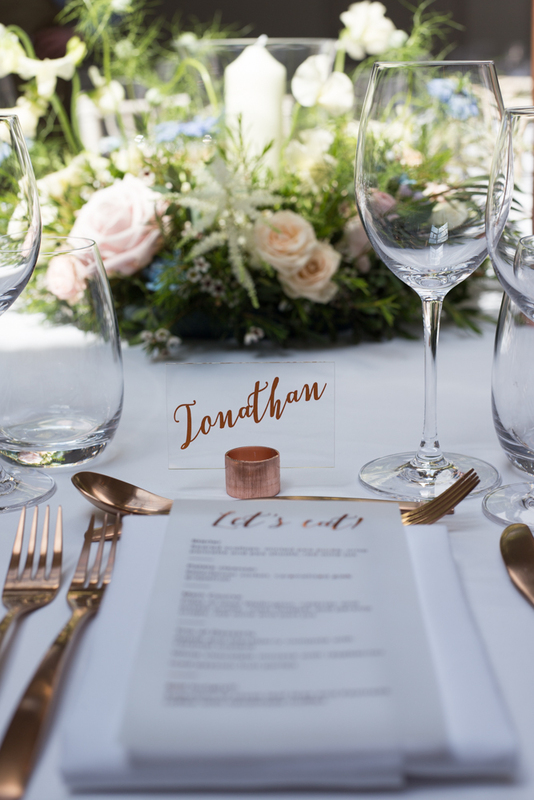 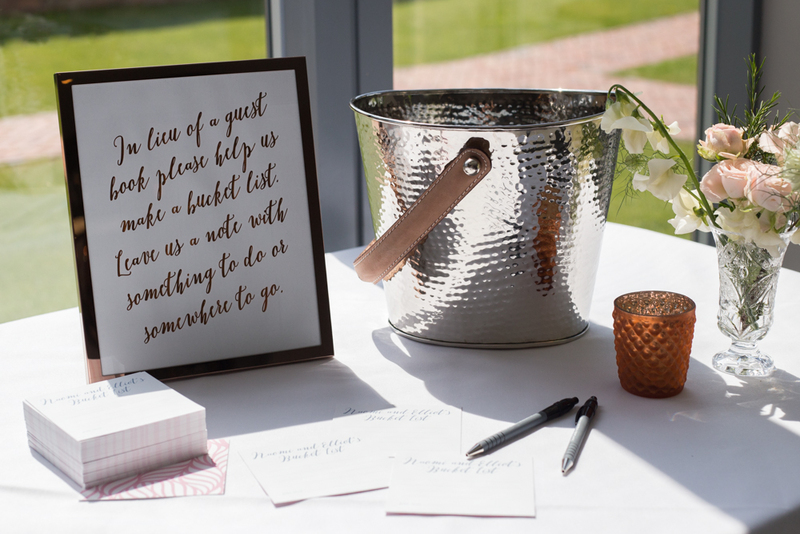 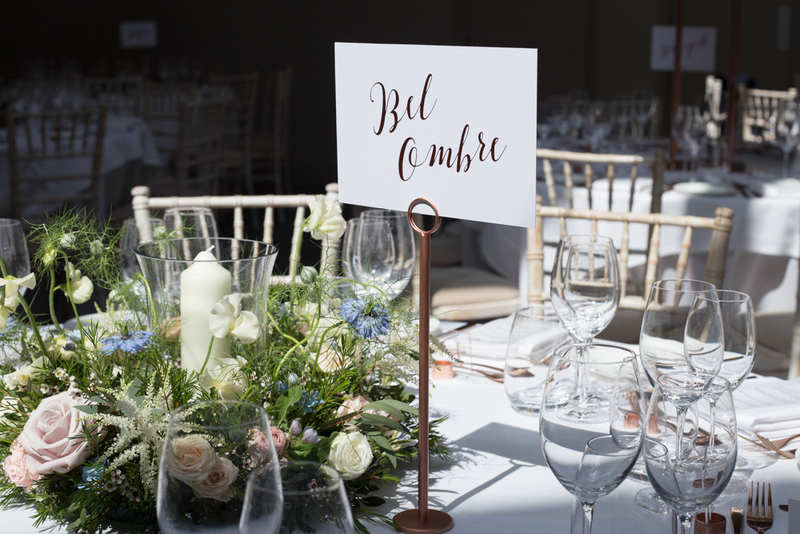 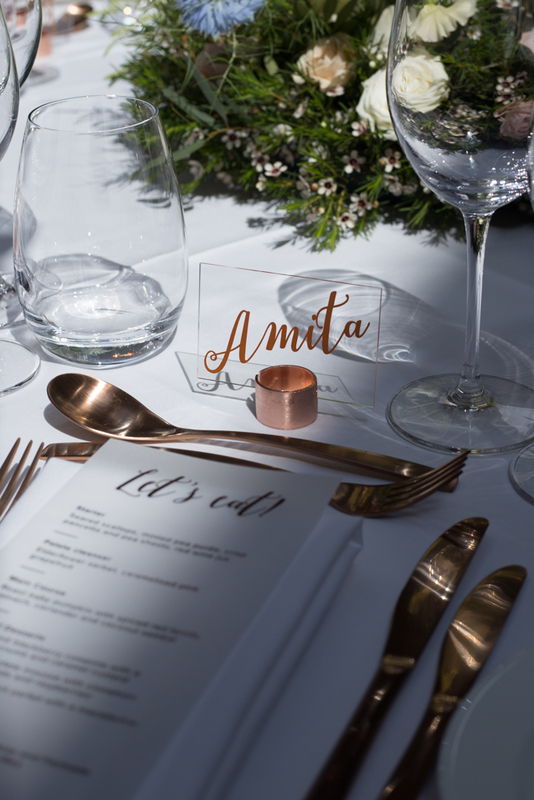 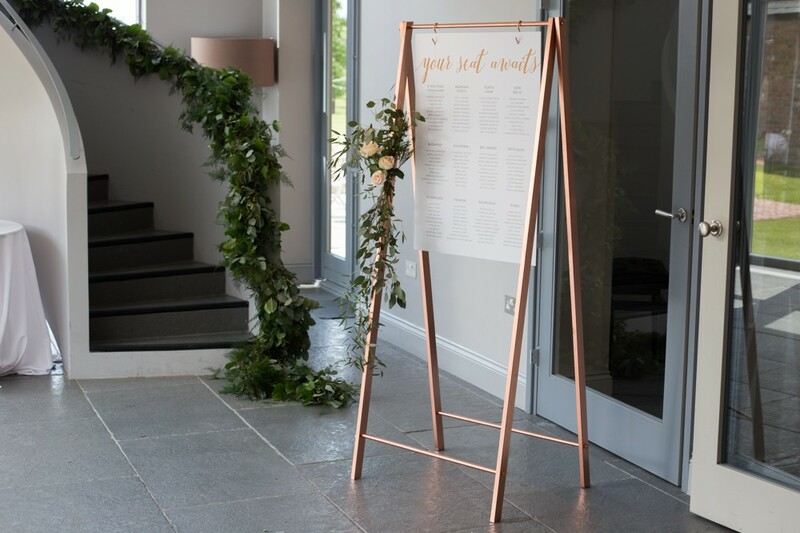 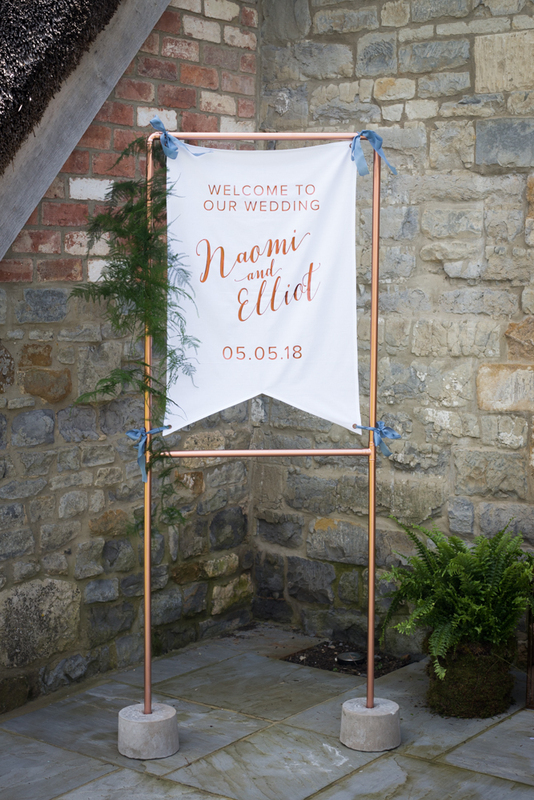 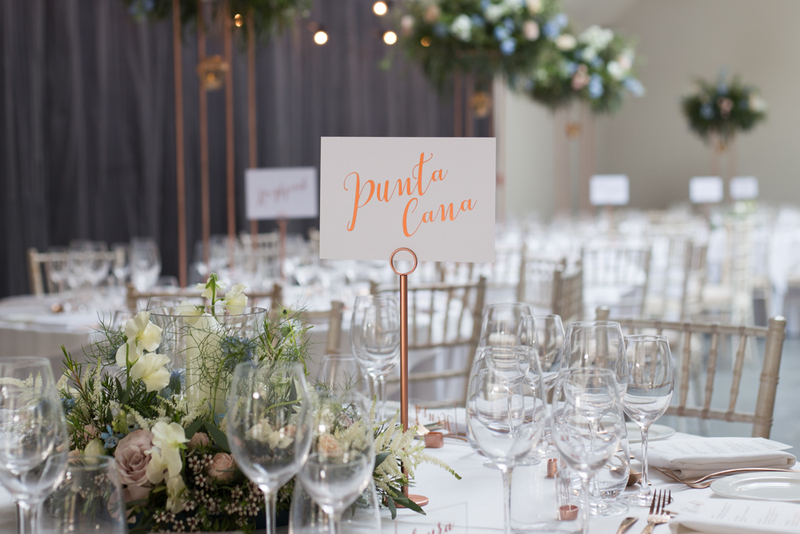 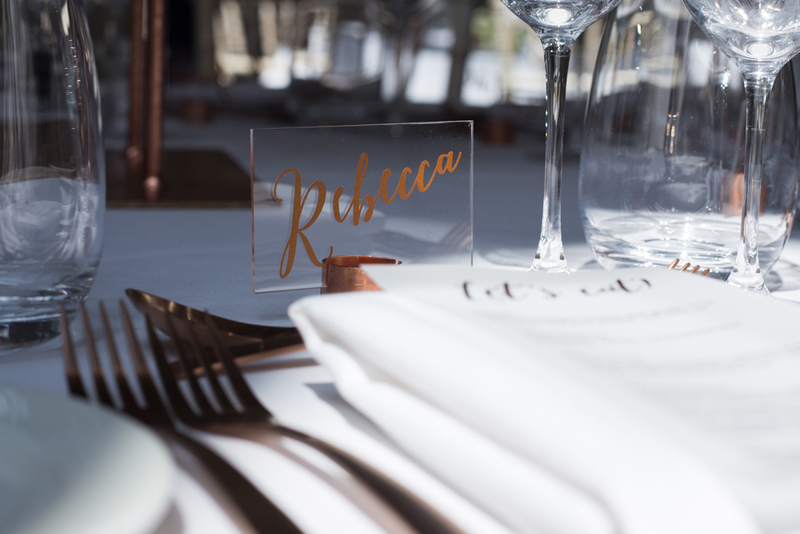 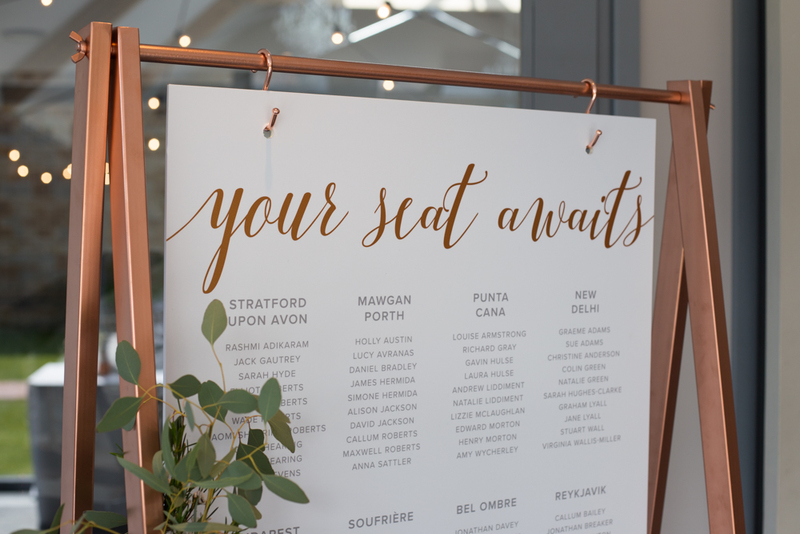 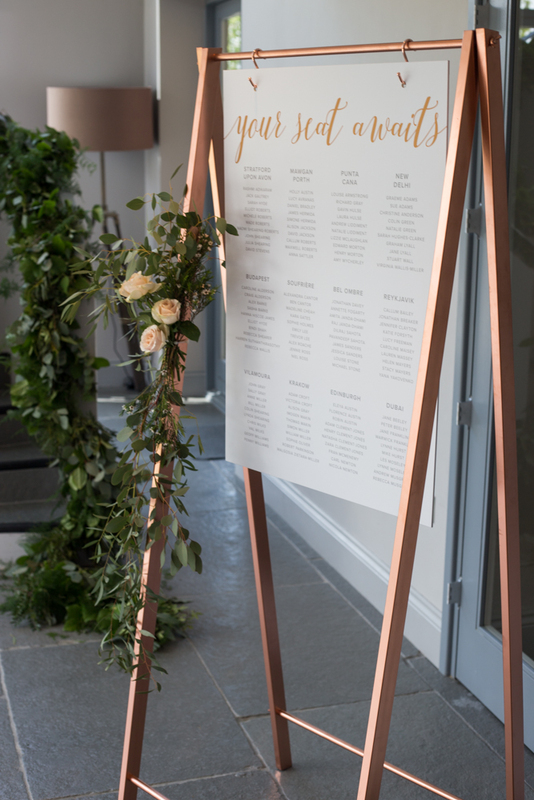 We were also there to set everything up on the wedding morning with a fabric vinyled welcome sign, acrylic place names sat in copper piping stands, foiled menus printed on vellum as well as many more little touches! 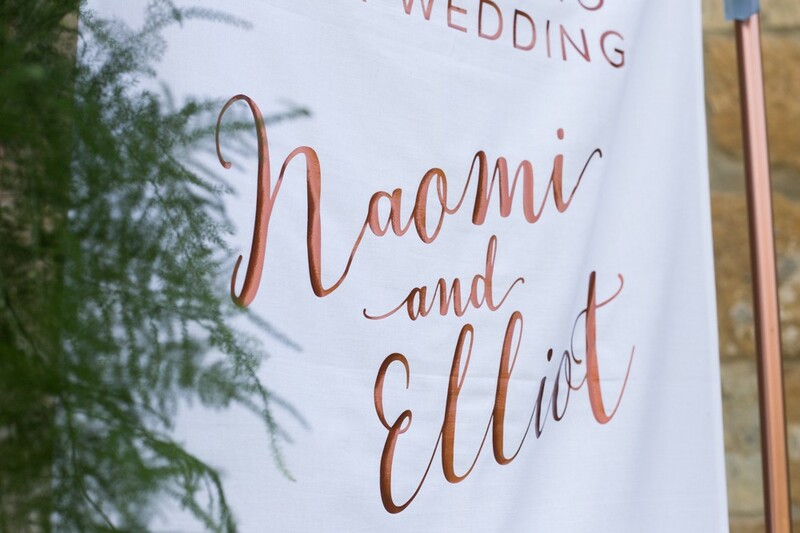 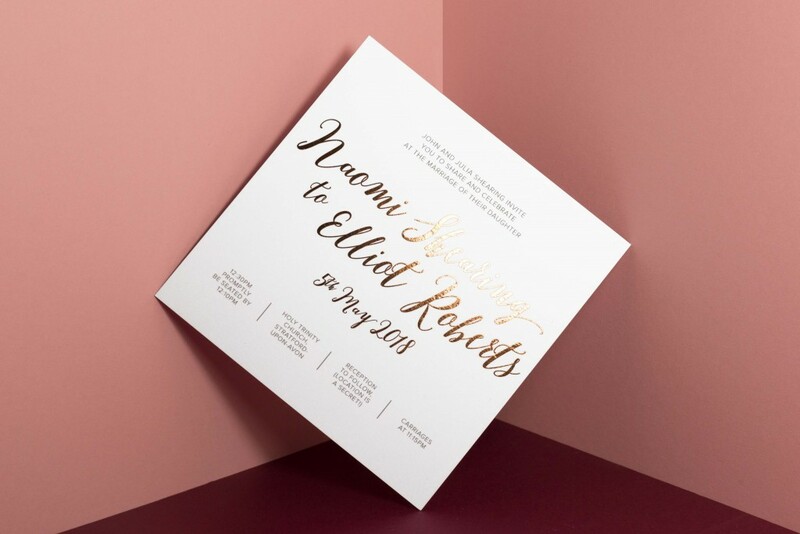 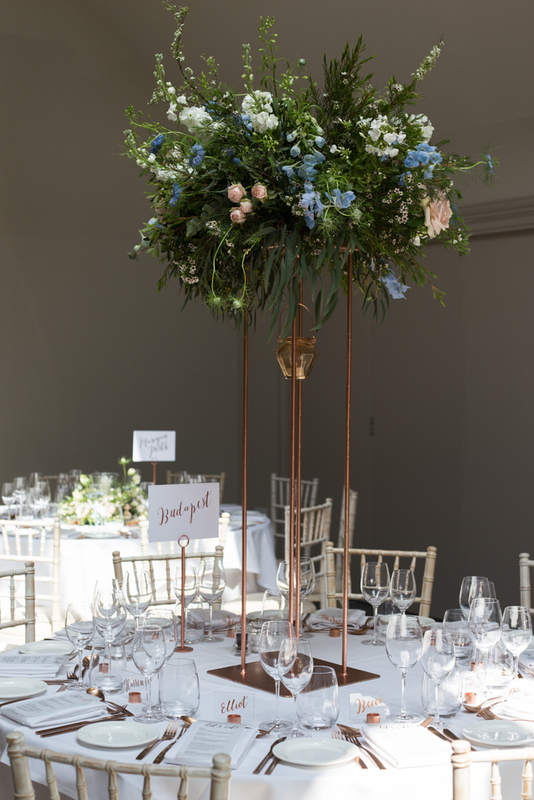 Check out the photos below of everything we created for Naomi and Elliot, the beautiful floral displays are by March Hare Floral Design. 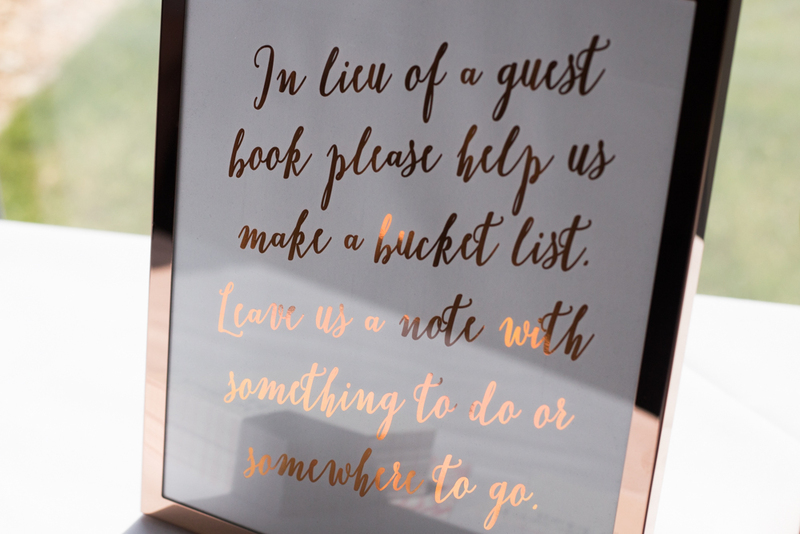 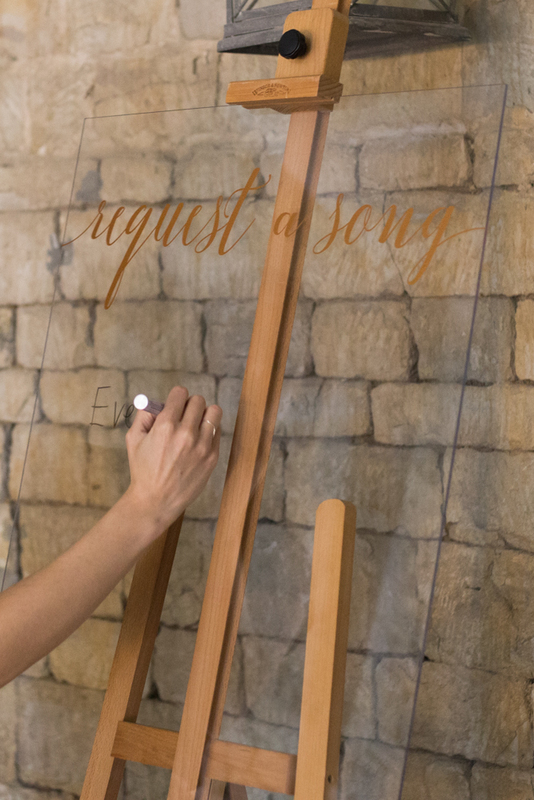 We would love to talk to you about how we can take care of all of your creative wedding needs. 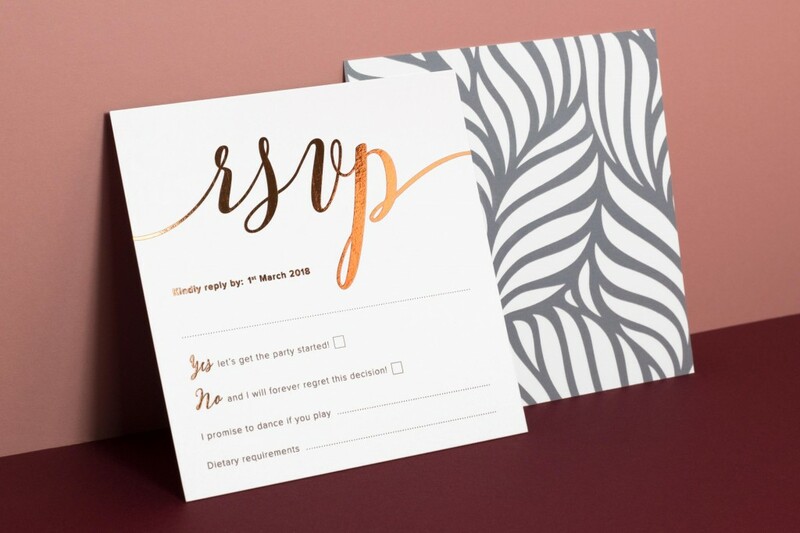 So please click the link below to drop us an email!